So it’s that time of year again: the joys of Christmas have been and gone and despite you now being considered the best parents ever, it’s left your wallet a little less well-off, requiring you to save wherever and whenever you can. K Glazing might just have the perfect solution in double-glazing. It used to be a fact of life that all properties lost heating through their windows. At K Glazing, we’re continuing the fight against draughty households and cold spots by installing our energy efficient double-glazing replacements as an effective way of reducing heating bills whilst also keeping your home warmer and quieter. Sound intrigued? You should be! Double-glazing, it’s a term often thrown around the fenestration industry without a moment’s hesitation, but we understand that you may not know exactly what it refers to. Put simply, having your windows double-glazed means that they will use two sheets of glass with a gap between them, instead of the typical one. This creates an insulating barrier that can help reinforce your home’s warmth and even allow you to save on bills. Kablamo!! You’re a double-glazing expert! Believe it or not around 60% of heat loss in the British home can be lost through standard, single pane windows – that’s a fact we’re just not comfortable with. Double-glazing helps to dramatically reduce this statistic, allowing you reap the financial rewards simultaneously. Once our windows have been installed, heating costs can decrease by around 12%, leaving you with extra pocket money to spend elsewhere. When choosing double-glazing, we don’t want you to compromise flair over function. 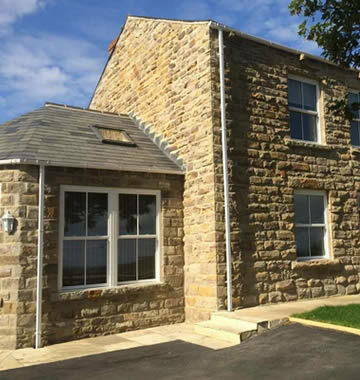 As such, whichever type of style, material or colour you’re looking for, we have a wide range of customisable windows guaranteed to suit your home that also results in more warmth and reduced costs. All double-glazed windows supplied by us are made to measure, giving your home that unique touch to let it stand out from the crowd. Whether it’s casement, sliding or sash, the choice of colour is whatever you can make it. We offer an extensive RAL colour match service to ensure that your newly fitted double-glazed windows are accompanied by attractive frames that are fashioned to suit any possible property, no panicking required! As glazing specialists, the choice by no means stops there. As well as the frame that surrounds it, all of our windows are available in a selection of different glass options, all set to be successfully double-glazed. Whether it’s privacy, toughened or energy efficient planitherm glass, we’ll ensure that both you and your wallet are well prepared for the winter ahead. Astoundingly, the terms “double-glazed” and “energy efficient” are largely one in the same. A double-glazed window installed by us instantly transforms your property into an attractive eco-home fit for the 21st century. With ‘A’, ‘B’ and ‘C’ rated windows available, you can choose the level of energy efficiency that best suits you, ensuring that you’re always doing your bit with regards to reducing the carbon footprint. 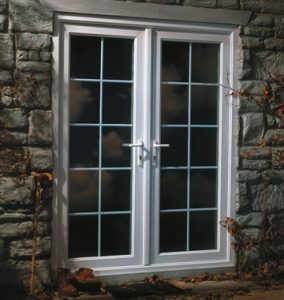 The higher rated energy efficient window you choose, the more money you can potentially save each year also, simple! And whilst we understand that the type of glass you choose may be limited by budget, even a British Flat fitted with C rated windows could save you up to £50 each year in the long run, so don’t get left out! Discover the further benefits double-glazing can bring to your home this winter by contacting us today. We have over 35 years’ experience of improving homes all across Yorkshire, with double-glazed installation only being one way of doing such. You have nothing to lose and perhaps a lot to gain, save on those costs today! This entry was posted in Specialist glazing. We improve homes across South and West Yorkshire, including Leeds, Castleford , Garforth, Harrogate and Wetherby.